The geography of Burgundy looks like a vertical rectangular. At the North, the famous wines of Côte de Nuits and Côte de Beaune together with their prestigious appellations. At the South, a more popular image, with easier drinking wines. 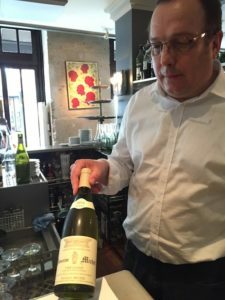 Gilles Breuil, a southerner, proud of his region has named both his restaurant enterprises, “Bourgogne Sud”. those that deliver a fruity and charming drink such as the palatable Rully, a tense Viré-Cléssé or a crispy yet smooth Beaujolais. Gérard Raimbault is a master chef. Not always an easy person to contend with on a day to day basis. His character can be as difficult as his talent is great. 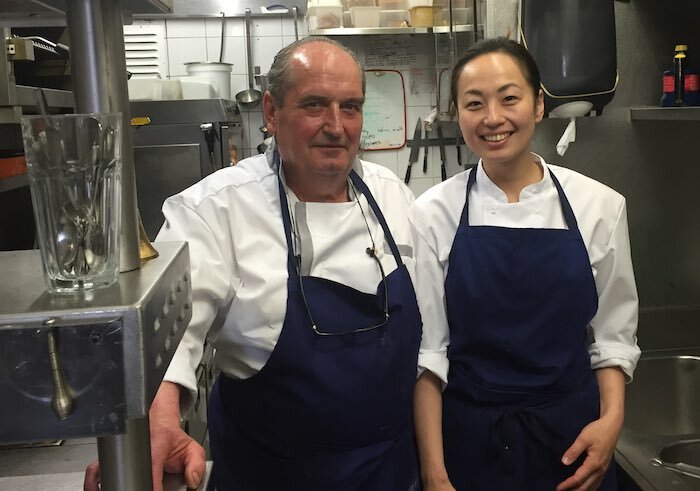 With Mayumi who has taken on the direction of the second « Bourgogne Sud » located near Porte Maillot, they work well as a team creating the many traditional dishes from Burgundy and from the Lyonnais’s regions. Of course, one can begin with Burgundian snails, but it would be a wise idea to taste the made from hare and foie gras. Unless, of course, you prefer its « œufs meurette » a typical Burgundian dish which reminds one of the the narrow link between the wines. These eggs are cooked in a wine sauce – of black pinot of course! – into with pieces of bacon and bread croutons are lightly introduced. Their “quenelles sauce Nantua” is a dish of great charm. Of course, home made . The two chefs take the necessary time to pound and sieve the flesh of the pike, blend it with a panade*** cream and the whites of eggs. They then roll it into a sausage shape and place it in the oven until golden brown. Among the specialities there are the veal kidneys, cooked in a wine sauce and served with a creamy purée. 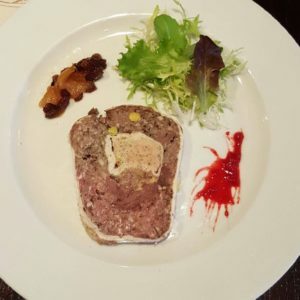 For some French gourmets, savouring this dish is the best manner in which to fall into ecstasy and forget all one’s worries. But there are many others means to achieve this result in this Bourgogne Sud!